The only book that I bought during the first month of my graduation was Palgrave’s Golden Treasury – the book of poetry collection which features poems by a bunch of poets. I was never into poetry before I started studying English Literature in my graduation. However, once I came into contact with this book, the scenario was changed! I was, as if, into an another world which offered my reading quotient an asylum which I was ever longing for… before trying my hands at Golden Treasury, I was very circumspect about books… science fictions mostly and some romance and those academic books only. What is the best that you can find in Palgrave’s Golden Treasury? Well, this question can be answered in million ways by millions of people. Coming to my narrow self, I will say that the collection in itself is a whole. You get to read the poets from different ages in a single book and the book is made in a way that it does never let your bore! You can read the poems of Shakespeare and after flipping a few leaves, you can get to read some of the works by Thomas Gray as well. When you move ahead, you find the likes of Tennyson and Arnold and also the modern ones whose writings are quite different from their predecessors… thus, Golden Treasury proves its entitlement of being a treasury which is, by all means, golden. W. H. Auden, Philip Larkin, Ted Hughes, Louis MacNeice, Thom Gunn, and many more modern poets are worthy to be in the hierarchy. In the beginning, some poems by anonymous poets and even some of Bacon are very much pleasant to be recited and enjoyed. There were, however, many controversies also attached to the publishing of this Golden collection of poems when it came for the first time. Passing through the hands of poets, it finally has reached its zenith or the perfection it could ever achieve as of now. I have been through different editions and I own the John Press one. Reading poetry has always been a pleasant experience to me since I first read some of them in this book. Moreover, I am sure enough that anyone with a serious eye for the written art would surely enjoy the book the more I do. 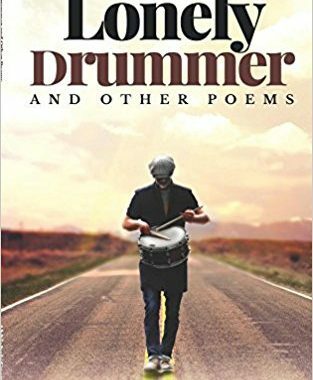 It is a kind of collection which does never let you move in your library for another anthology by any particular poet for sometimes. Every next poem you read seems like urging you to read further and reach the last page to see how the art of poetry writing has evolved through the time. A reader can get this book at a scanty expense today. But the meager price paid for this Golden Treasury is very wise because tomorrow, who knows, that reader might come to us as a poet himself… such is the enchantment of this great book of poems. I will urge all those into the vast sky of reading – please get a copy of Golden Treasury today and sink deep into the charm of verse. You will thank me for the day you either write your first poem or become a poetry critic!